Every year in October writers all across the globe gather to write. You pick a topic and write about it every day. And then you link up with thousands of others. It is a challenge, yes. But it’s also an immense blessing. It’s like a bootcamp for your writing, your words become sharper, more precise, more powerful. Writing a post a day gives you the opportunity to really dig into a topic, explore different features, and ask some of the hard questions. I guess we all know what it means to just get caught up in life. We feel like on a rollercoaster, going up and down without a possibility to escape. We work, we do household chores. We engage in relationships. We give and we take. And sometimes we feel like we’re all burned out. Like we’ve got nothing left to give. This is some hard truth! Life often doesn’t seem to be abundant – it feels more like existing. Dragging yourself along, from one day to the next, from one vacation to the next. It’s functioning, but it’s not the abundance Jesus has promised us. How do we find more abundance in our lives? How can we set boundaries to protect our souls from drying up and to preserve the good that’s already there? The last two years have been my personal struggle with boundaries. As I transitioned (and still do) out of college and into working life, as I mature into adulthood, as I learn more and more on my faith journey, I have to discover who I am. And more importantly, who I am not. I have to develop the courage to say NO to the wrong things in order to find the freedom to say YES to the right things. Setting boundaries is not just a topic for people in leadership or a certain age group. It’s a habit we all need to establish and practice. The more we do that, the more we’ll experience life – real, abundant life – coming back to us. So I invite you to come along for this journey. Let’s learn what boundaries are and why it is so important to set them. Let’s let go of some lies we believe about setting boundaries and take first steps towards more abundance in our lives. The easiest way to tag along is by subscribing and you’ll get every new post straight to your inbox! I am no professional psychologist and will mostly share from my own experiences and reading. This series should not just be about me talking, so I encourage you to get involved by asking questions, commenting, or sharing your own stories! Buchanan. The Rest of God. Sorted Food. Delicious recipes with a side of videos and British humor! OneIngredientChef. Vegetarian and vegan food you can’t resist to cook yourself! Important focus and interesting posts. It looks like you’ll have plenty to explore for the rest of the 31 Day writing challenge. Good Luck! 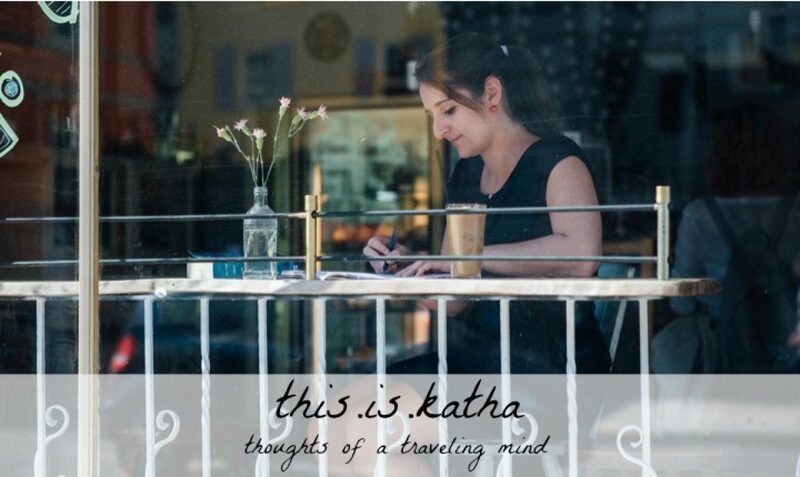 Great topic, Katha! Also, for purely selfish reasons, I’m thrilled to see that you’ve switched over to WordPress. For some reason, my computer refuses to let me comment on Blogger websites anymore, and I was always frustrated when I couldn’t leave a comment for you after reading one of your posts! Always nice to see you linked up for Five Minute Friday. Hope you enjoy writing for 31 Days! Thanks, Kate! Thanks for hosting FMF, such a great community! Have fun writing in October! Yes! This is such an excellent topic! I have stretched and grown in this area but still have so far to go. I am writing about The Hope Toolbox: Practical Help for Depression and Sadness, and I will certainly put a link to your series on my blog, because I think setting good boundaries is a key element in this area. I can’t wait to read along. Thanks, Sara! Thanks for the linkup! Have a great 31 days!